Enjoy reading and share 9 famous quotes about Other People's Misery with everyone. 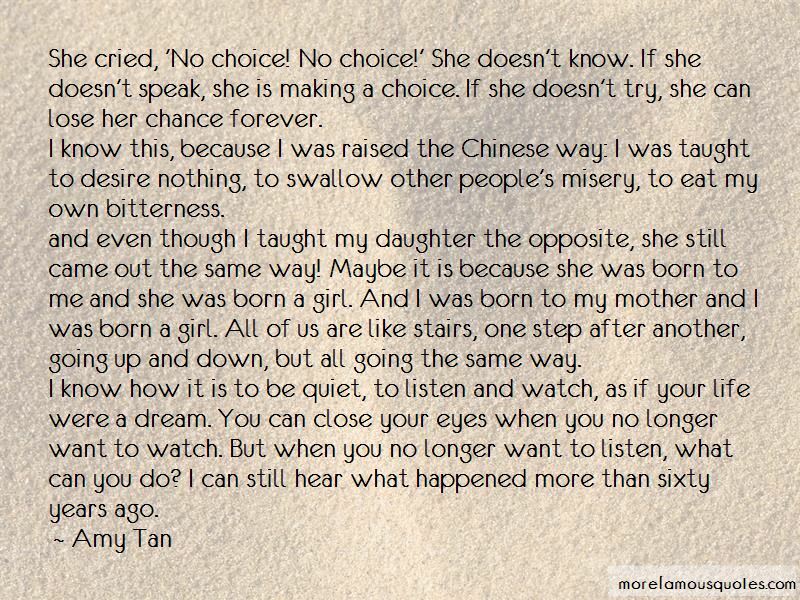 “She cried, 'No choice! No choice!' She doesn't know. If she doesn't speak, she is making a choice. If she doesn't try, she can lose her chance forever. I know this, because I was raised the Chinese way: I was taught to desire nothing, to swallow other people's misery, to eat my own bitterness. and even though I taught my daughter the opposite, she still came out the same way! Maybe it is because she was born to me and she was born a girl. And I was born to my mother and I was born a girl. All of us are like stairs, one step after another, going up and down, but all going the same way. Want to see more pictures of Other People's Misery quotes? 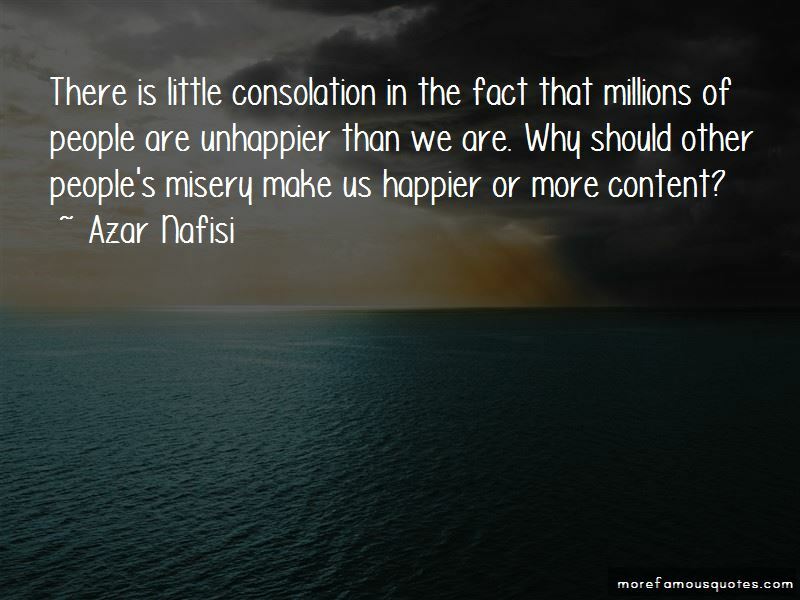 Click on image of Other People's Misery quotes to view full size.